Roary’s Class Acts programme was originally formed by a consortium including Middlesbrough Football Club Foundation, The Cleveland Centre, Middlesbrough Schools’ Teaching Alliance, Middlesbrough Catholic Schools’ Partnership and Emmerson Marketing in a bid to tackle issues regarding primary school attendance figures across Teesside. The programme was aimed at originally been trialed at local catholic schools in the Middlesbrough area, which proved to be an all-round success which has now developed to include the majority of primary schools in Middlesbrough. The materials we have developed, including stickers, posters, door hangers and more, encourage and recognise excellence and improving attendance among primary school children through building a culture of healthy competition between schools, classes and children. Achievement is linked to a range of incentives and prizes for children which include visits from our Mascot, Roary the Lion, and stadium visits for example. The importance of high levels of attendance are evident in many aspects of education. Government research and statistics indicate that having good attendance leads to higher academic achievement, greater enjoyment and children feeling more settled in school. It is the purpose of this project to support every child in achieving their highest possible attendance levels and developing the mantra that ‘Every School Day Matters’. John O’Boyle (Head of the Catholic Teaching Alliance) said “The project has been a fantastic success in our schools. We have seen a marked improvement in attendance among those who are typically difficult to engage. 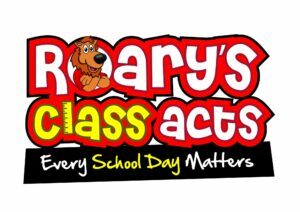 Roary’s Class Acts is now running for a second year and is already in 36 of the 42 primary schools in Middlesbrough and has now received funding to access and supply 16 schools within Redcar and Stockton. This is great for Middlesbrough and its surrounding areas as it will see an all-round increase in attendance in the coming years. There are incentives in place for the most improved and highest achieving schools, these include; Visits from Middlesbrough football clubs mascot (Roary the lion), P.E sessions ran by an MFCF coach, stadium tours and end of year celebration events. There has already been a number of assemblies at schools with visits from Roary.